Donald Trump’s much-touted “medical” interview with Dr. Oz filmed today, and according to reports it was a delightful grab bag of details about kissing his daughter and the state of his prostate. 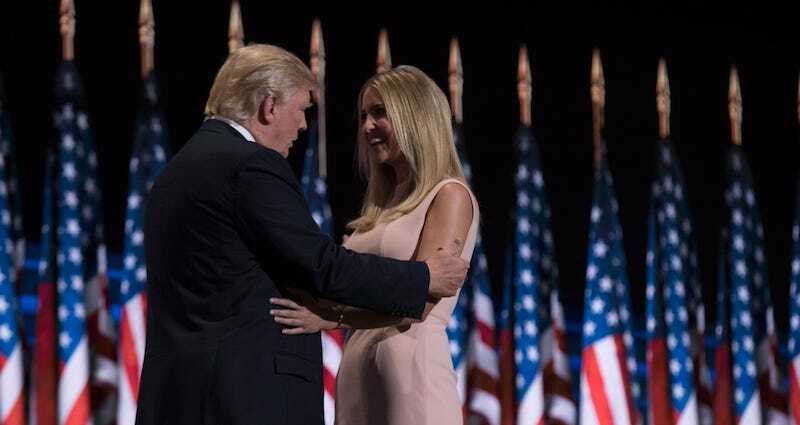 Oh, and Dr. Oz reportedly told Trump that “It’s nice to see a dad kiss his daughter,” and then Trump said he “kisses her every chance that I get” and then we all threw up together collectively remembering the time he said he’d date her if he hadn’t made her. What a ride!